The sediment pre-filter is used to prevent dirt and sediment particles from entering and clogging the main filter unit. This cartridge should be replaced every 1-3 months depending on water quality and sediment levels. 4-Pack 10" Whole House Pre-filter Cartridges is rated 4.7 out of 5 by 156. 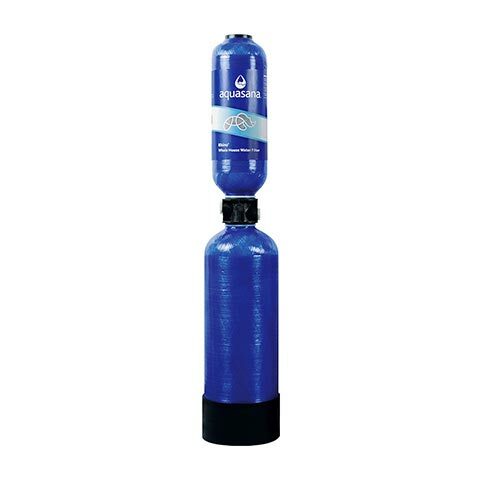 This sediment pre-filter replacement cartridge 4-pack can be used with Rhino Whole House Water Filters that contain a 10 inch pre-filter. The sediment pre-filter is used to prevent dirt and sediment particles from entering and clogging the main filter unit. This cartridge should be replaced every 1-3 months depending on water quality and sediment levels. Change when color darkens or water flow slows. 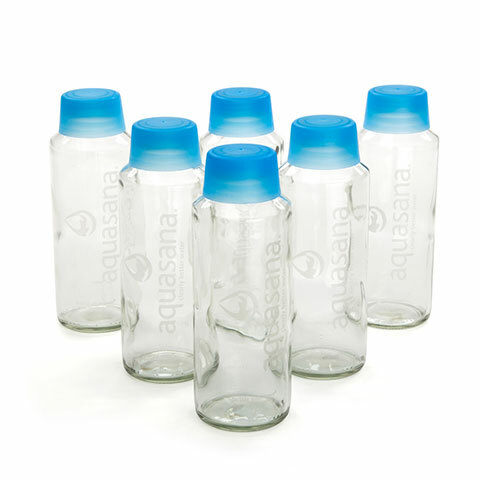 Rated 5 out of 5 by Karsyn's gramma from Over all rating of aquasana filters The filter is exactly as described.. Does a great job filtering our well water.. Will definitely purchase again.. And highly recommend to anyone that needs a 5 micron filter. Rated 5 out of 5 by Satisfied customer from Review new filtration system It works better than expected. I was especially worried about a decrease in water pressure, but as long as I change the filters on time the pressure has been relatively unaffected. I also like the automatic filter shipping program. Rated 5 out of 5 by Lynda K from So far, so good We have had our filter in for 4 weeks. The calcium and sulfur stains are clearing up. This is everything we hoped for. Rated 5 out of 5 by lfrapsd from Great quality Super product, reasonable price. Lasts quite a while.!! Rated 5 out of 5 by tony.v from Whole House Filter Just a replacement of the pre-filters. Affordable, but, or the more important whole house filter. Don't live in home without it. You got chlorine (in my case, chloromines) in your water. Just do it for your hair (shower) and for your drinking water (mine is not bad, but %99.9999xxx is much better). Rated 5 out of 5 by llouis2 from Great Filters! 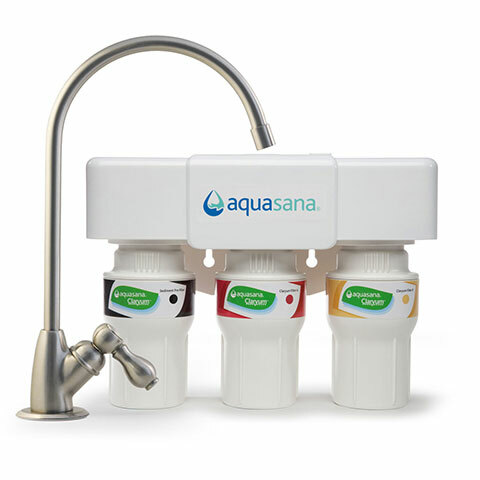 Easy to install and do a great job filtering water without any nasty smell or taste! Rated 5 out of 5 by JimA from easy to change I have been using them for 4 years and am happy with the results. Is there a &ldquo;better&rdquo; whole house filter (well water) Filter that will help with my Wife and Daughters With their hair feeling not clean??? Seems like it&rsquo;s &ldquo;hard&rdquo; water and leaves a residue. We just purchased a whole house system. Which filters should we be ordering on a regular periodic basis? What are the maintenance intervals and the tests to verify the UV system is performing properly? Thank you for your recent purchase. Depending on the customization of your system, you should be ordering the 10&quot; or 20&quot; pre-filters (pack) and a post filter every six months. 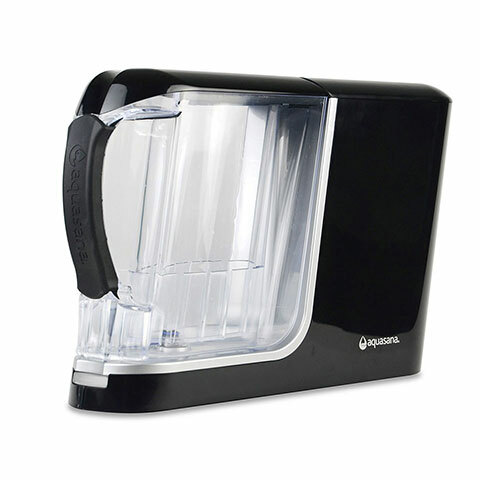 We recommend pre-filters cartridges be replaced every 2-3 months depending on the sediment in your water. Post-filters should be replaced every six months. 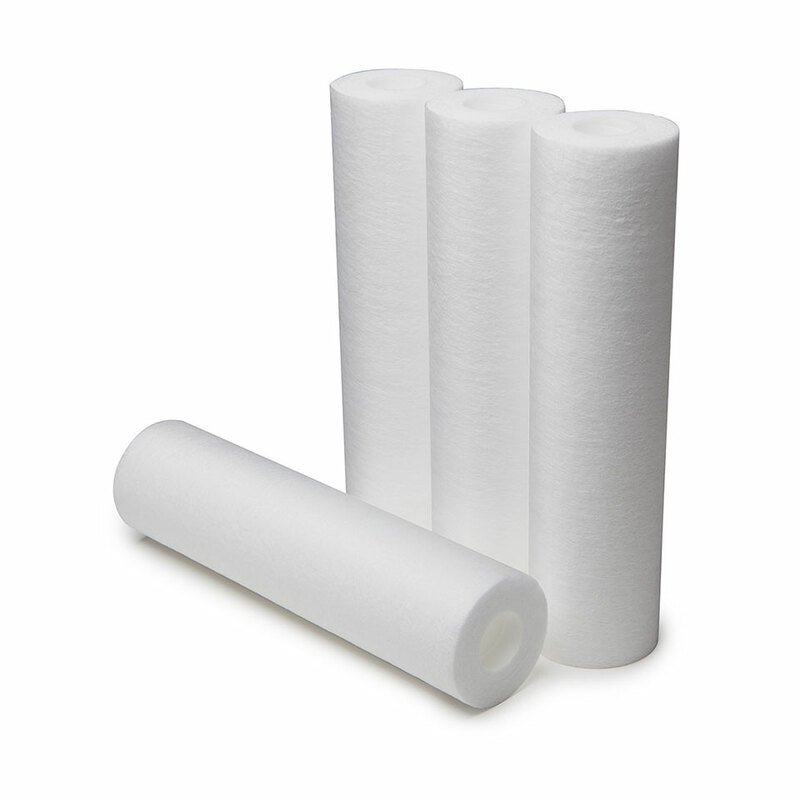 Replace the post-filter if there is a noticeable reduction of flow through the filter system. The UV system comes with a 365 day counter that tells you how many days are left until the UV bulb should be changed. It will start beeping at the 365 day. You have the ability to reset it 4 times, but we cannot guarantee it will work at its full capacity past the 365 day mark and recommend you order your replacement in advance. Will these filters fit a GE whole house filter GXWH04F? Thank you. Our filters are specifically designed for our systems, so we are unable to recommend them for other brands. Our Rhino whole house 300 system is at least 10 years old. could you tell me whether we are supposed to replace not just the pre-filters but also the entire filter? any special purchase price for cases of said filters? Will these filters fit my EQ-600 whole house system (3/4 inch)? ?